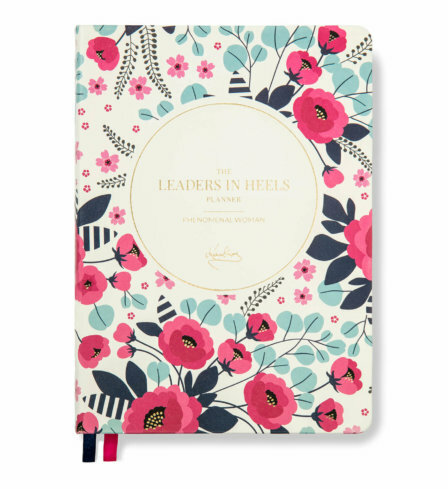 Also available in Light Floral, Vintage Floral and Spotted Pink in leatherette and Cornflower Blue in linen. 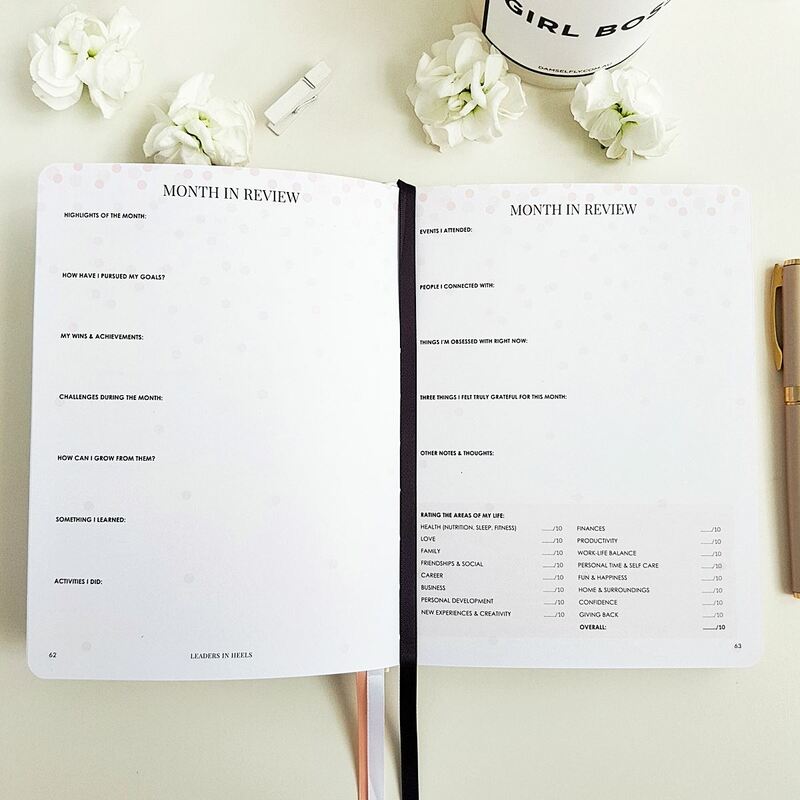 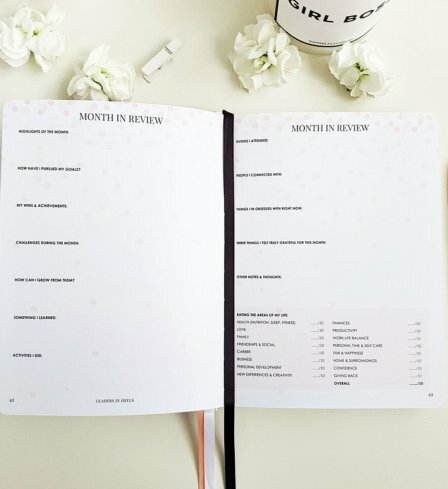 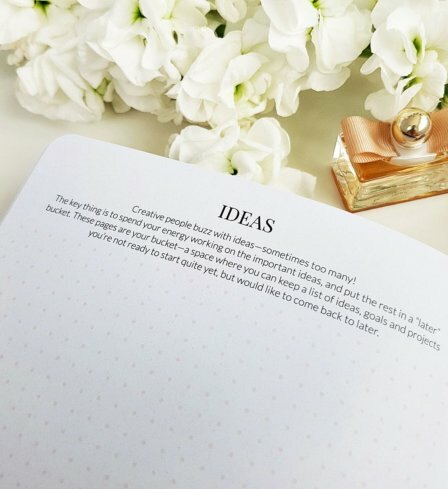 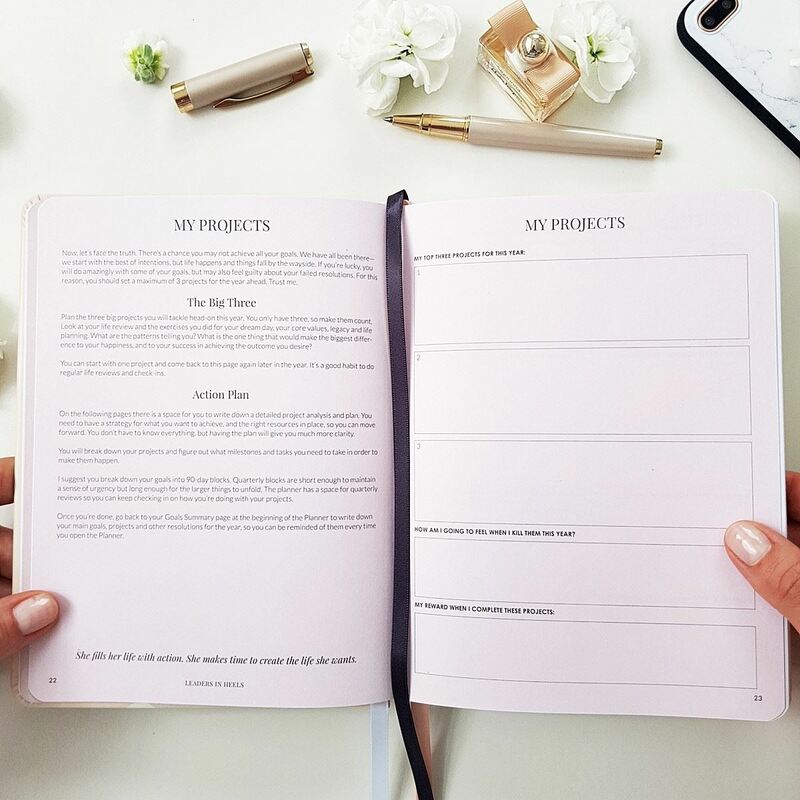 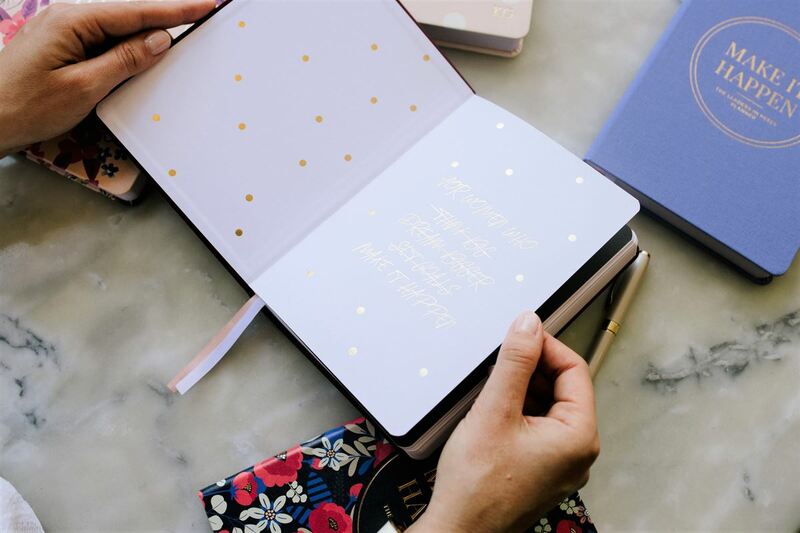 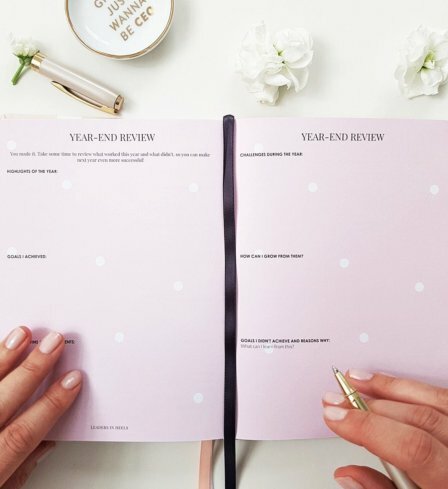 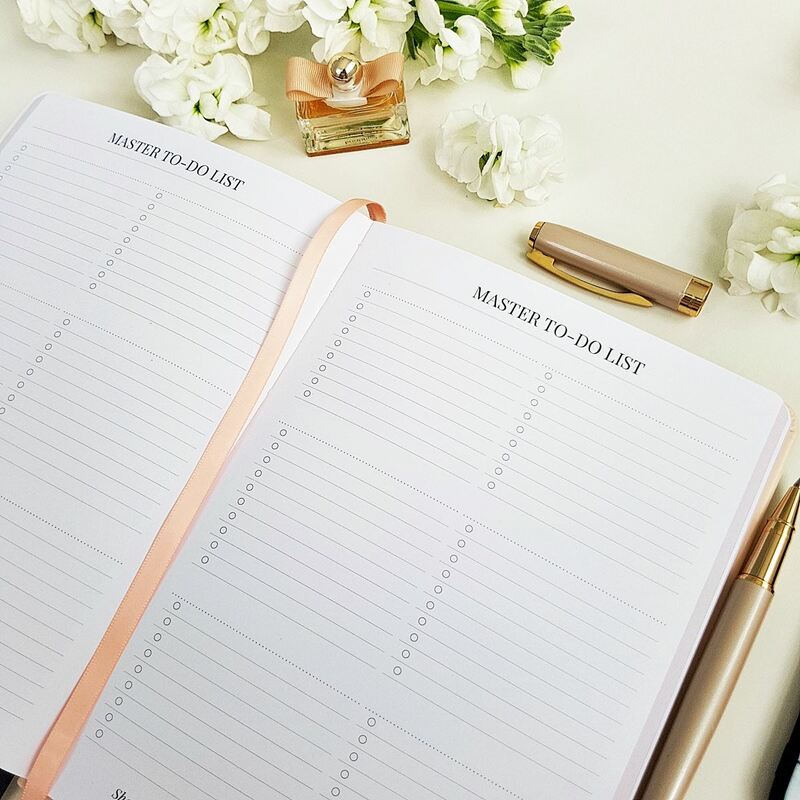 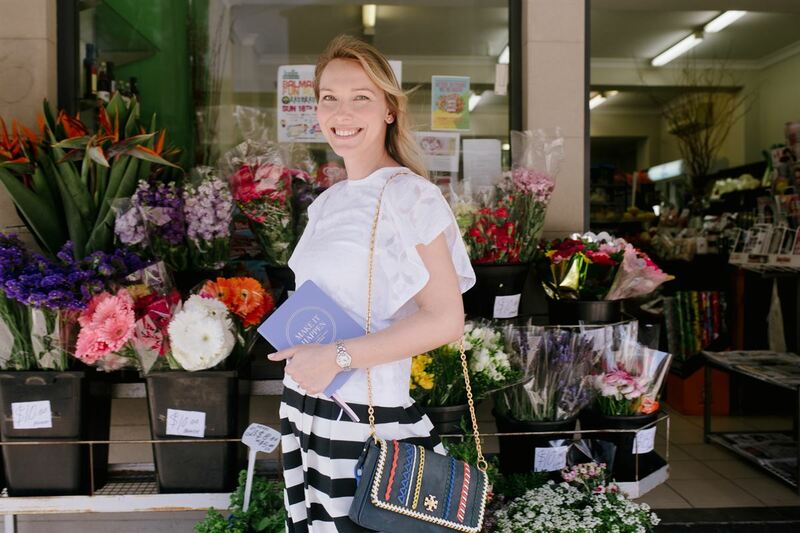 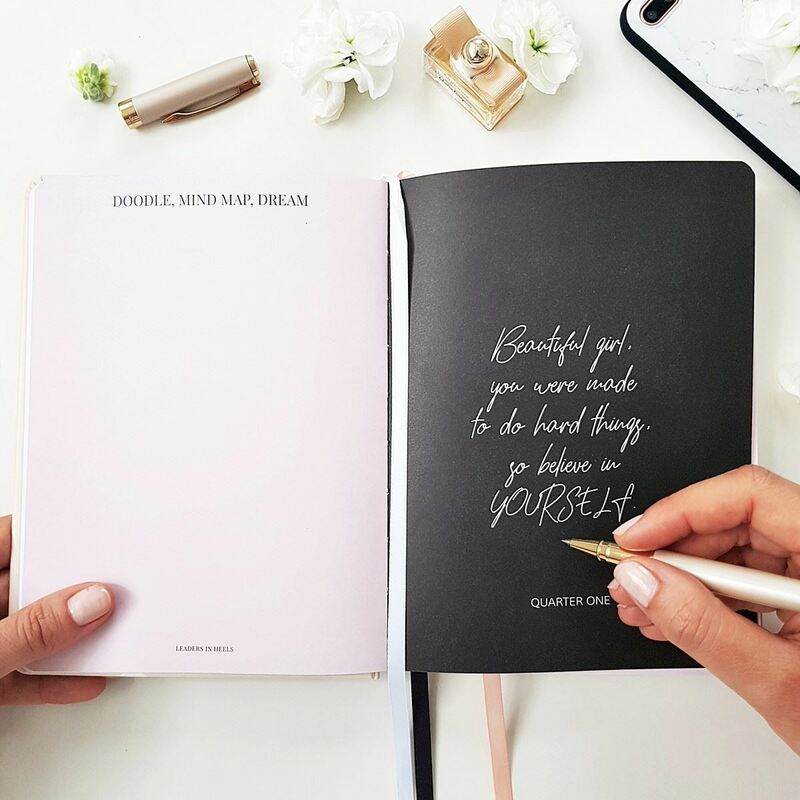 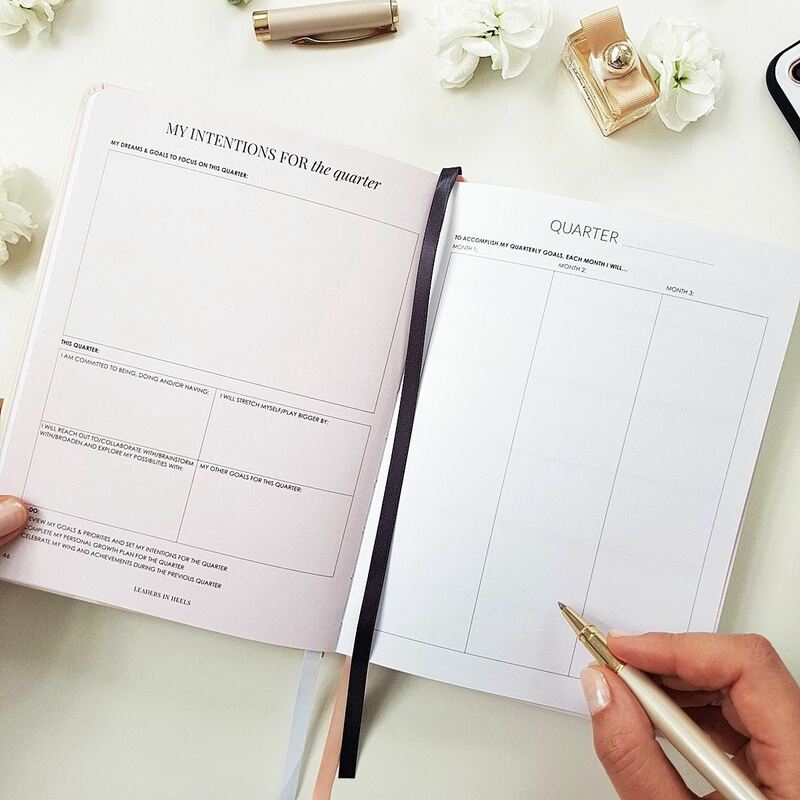 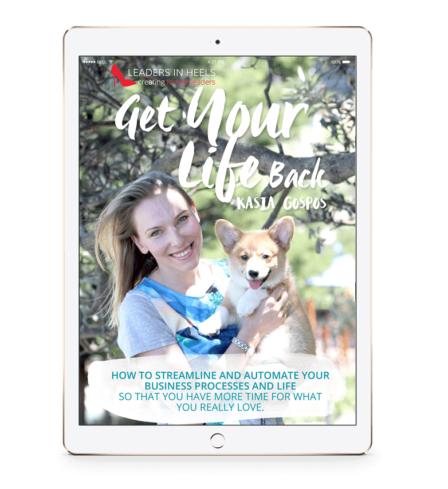 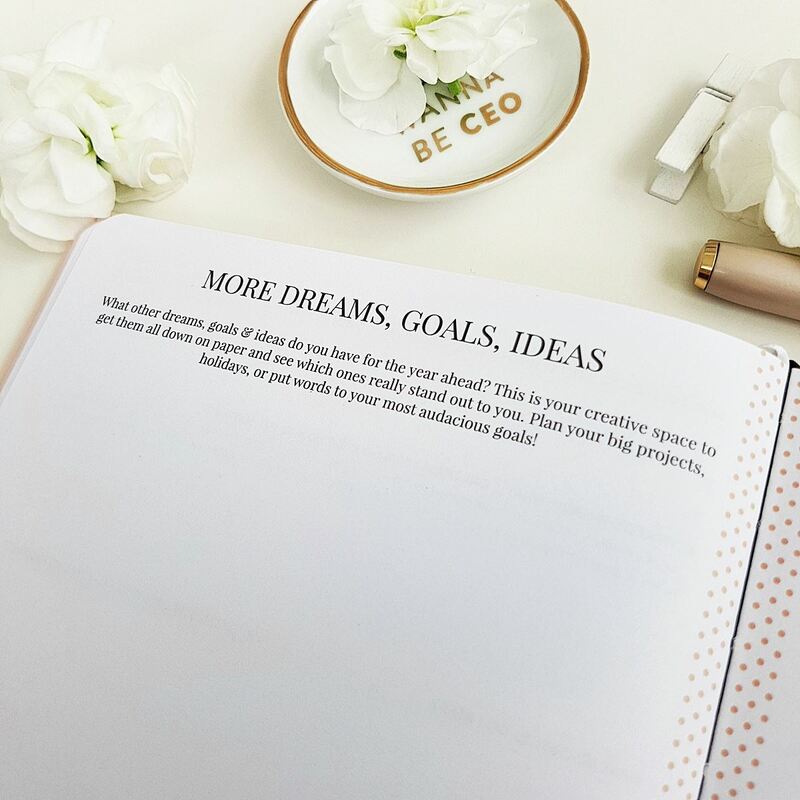 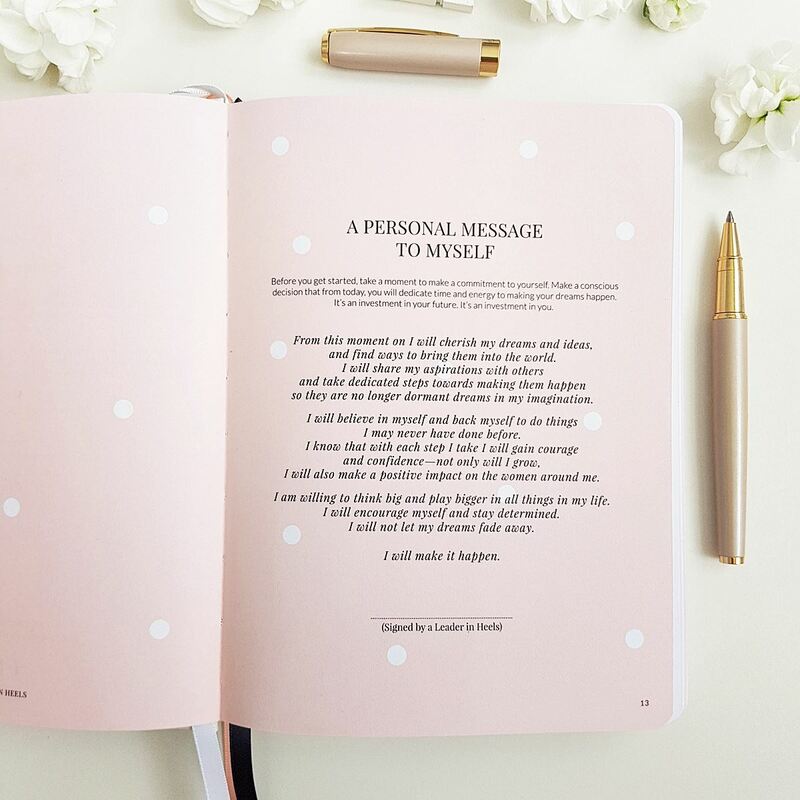 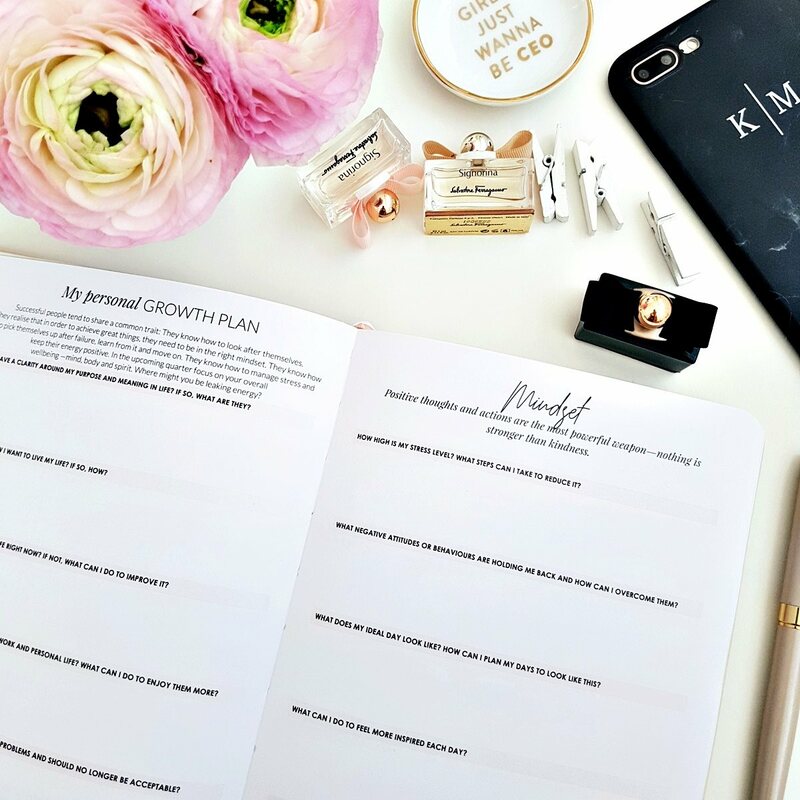 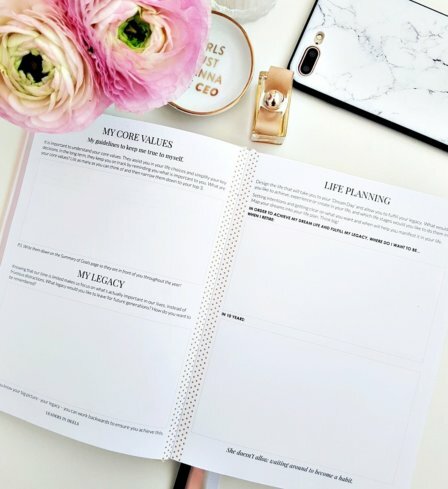 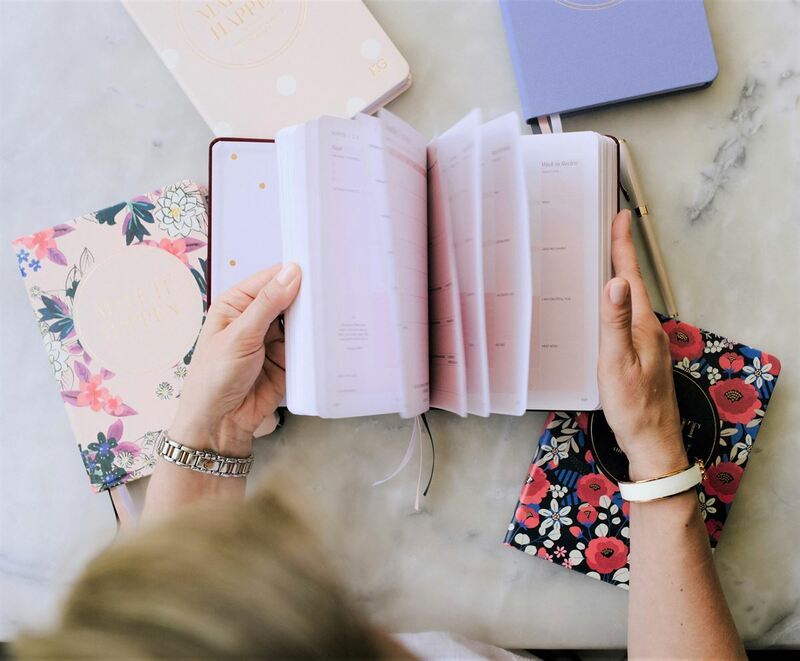 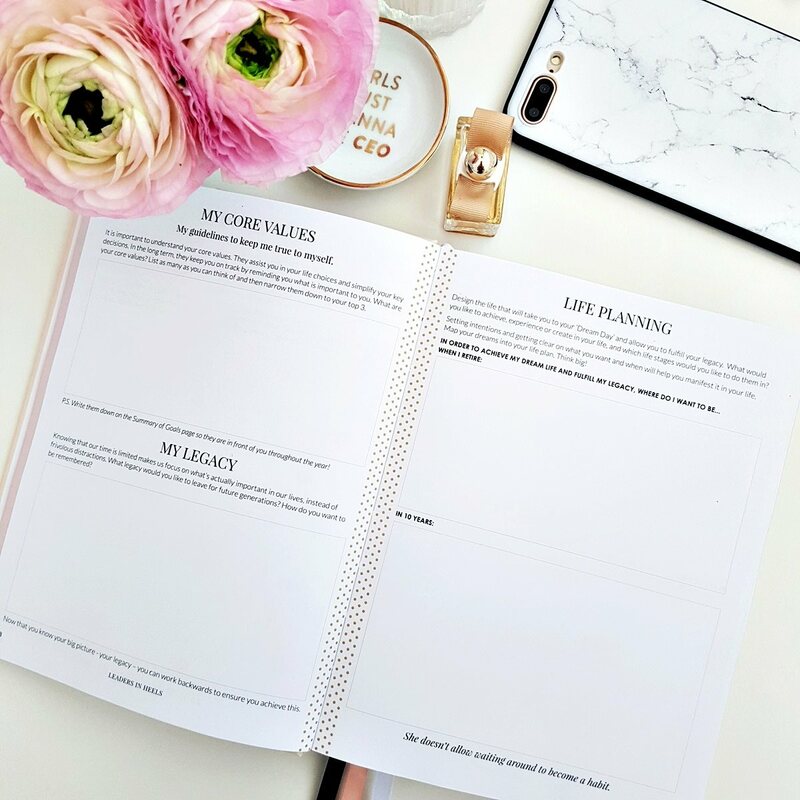 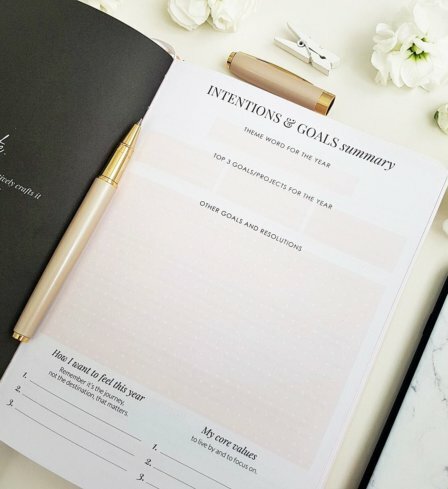 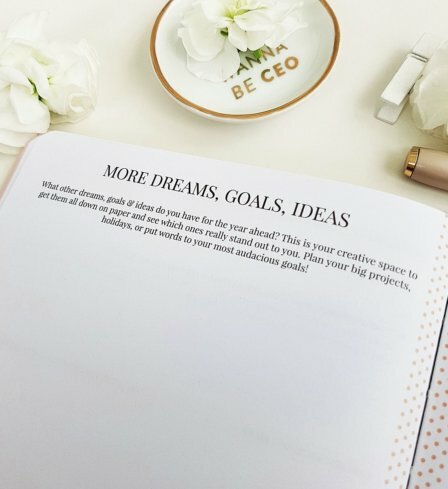 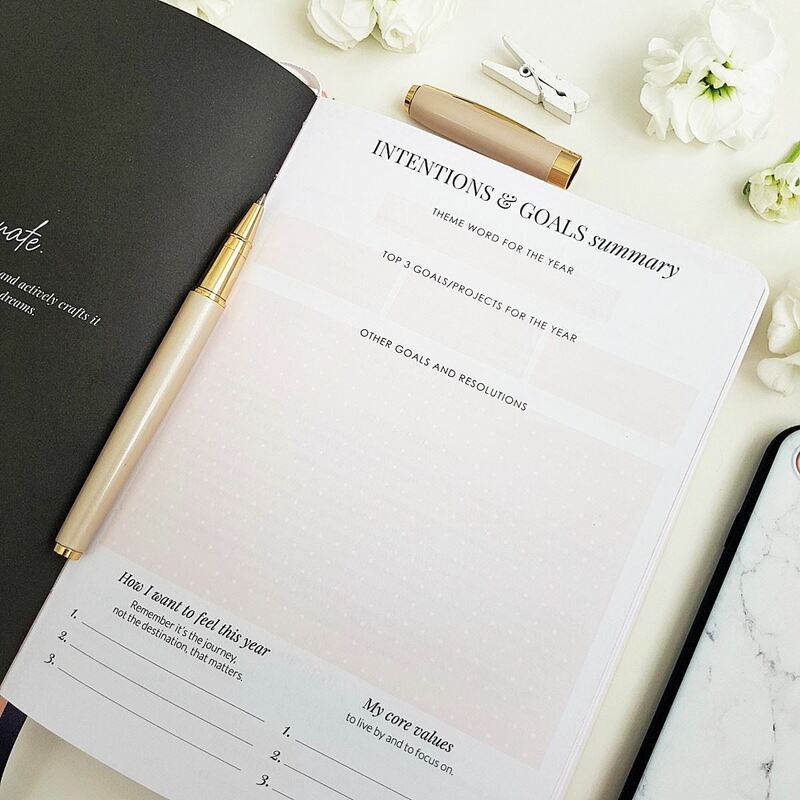 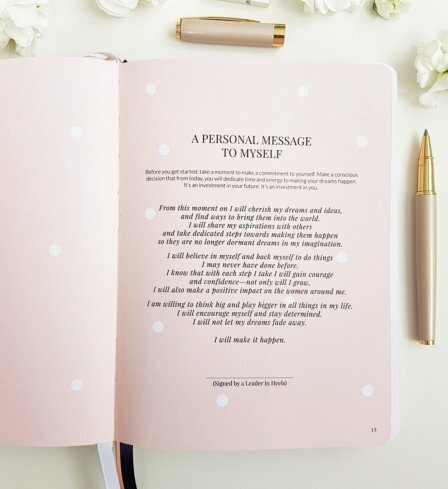 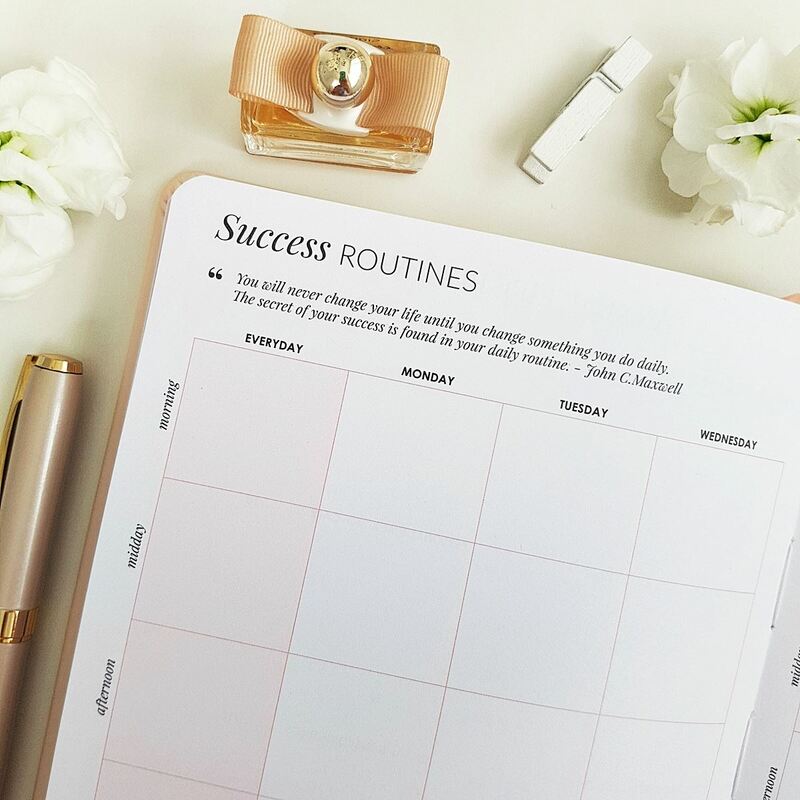 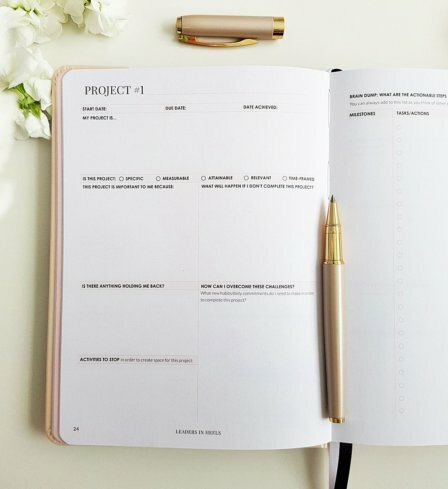 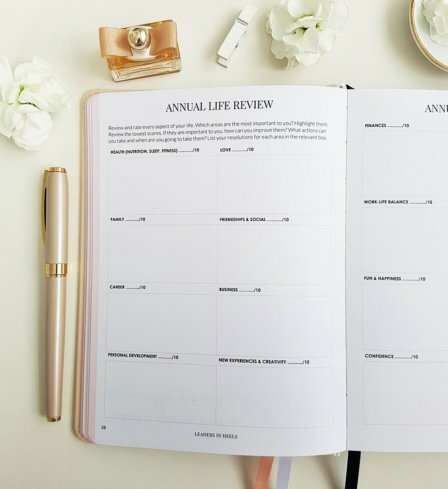 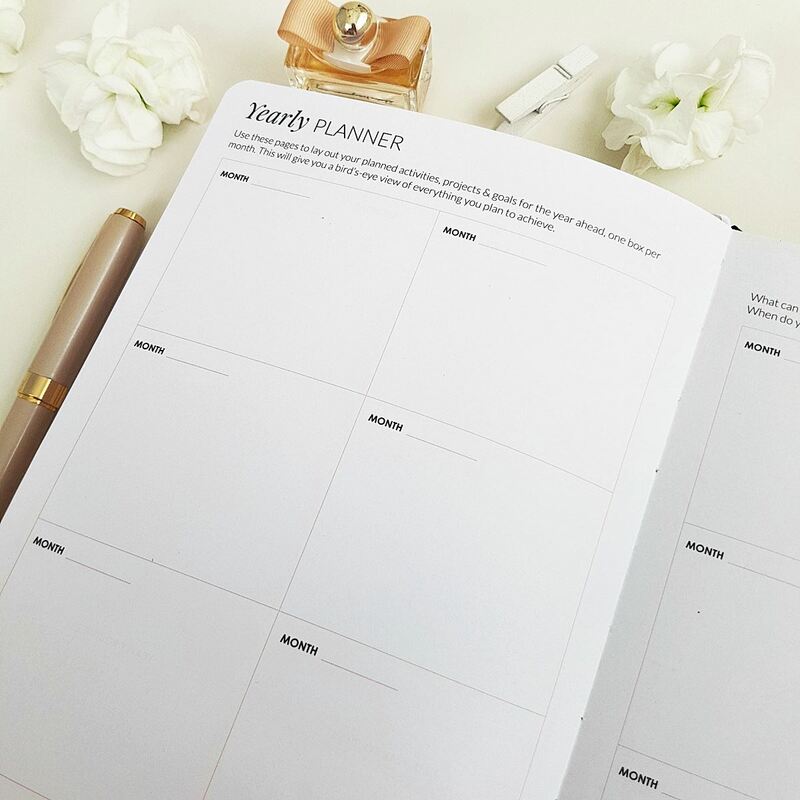 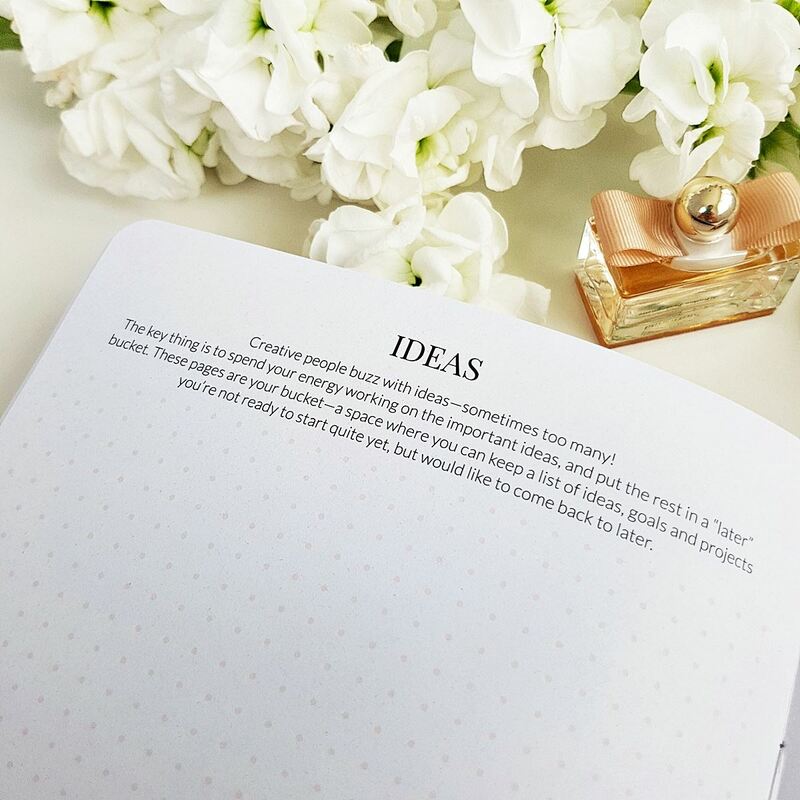 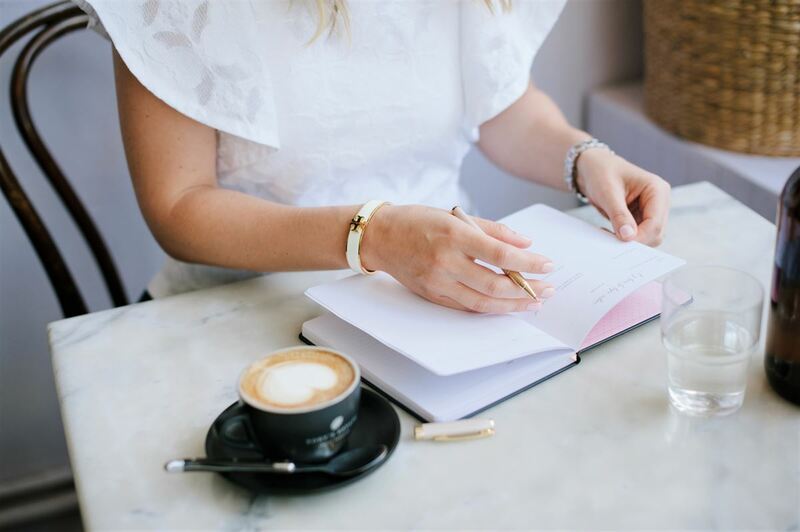 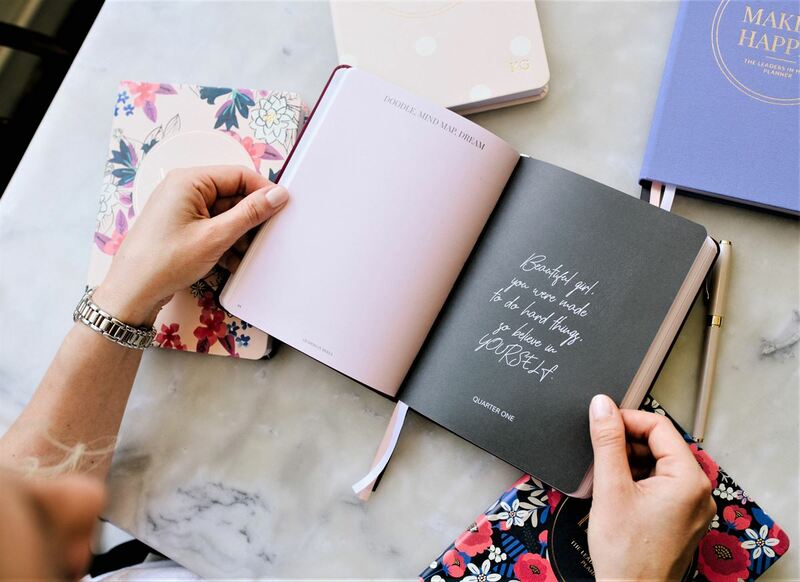 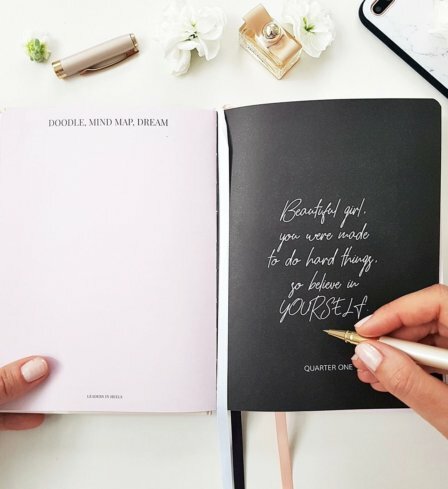 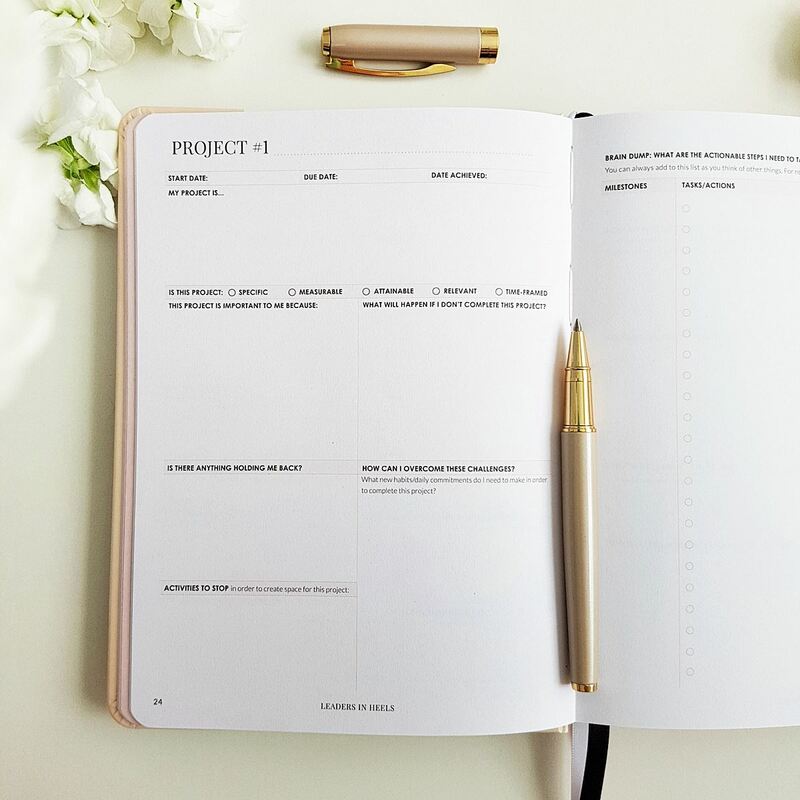 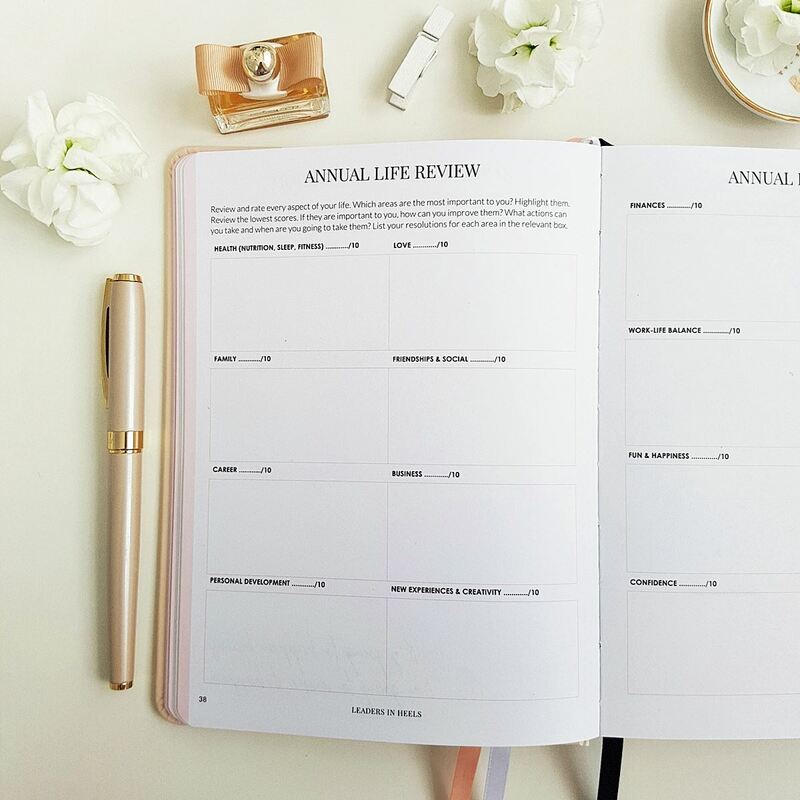 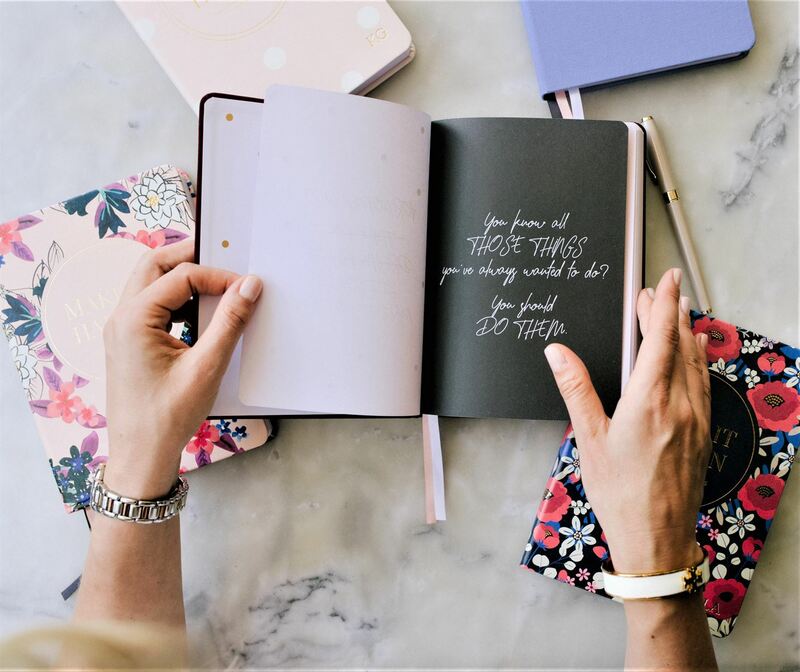 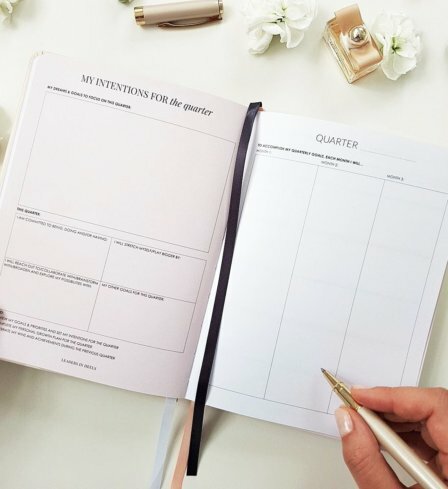 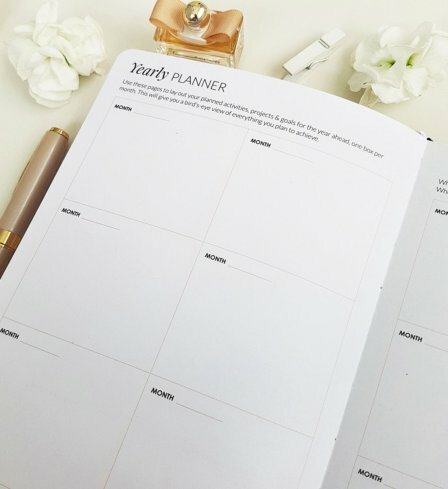 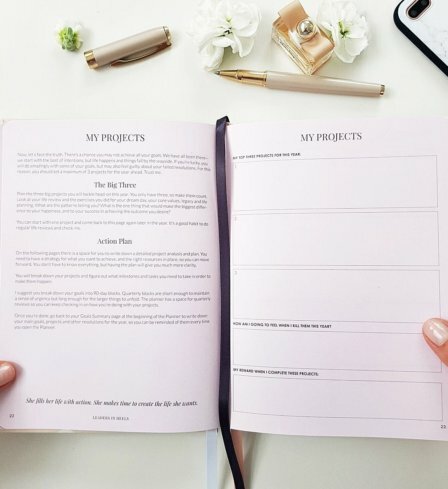 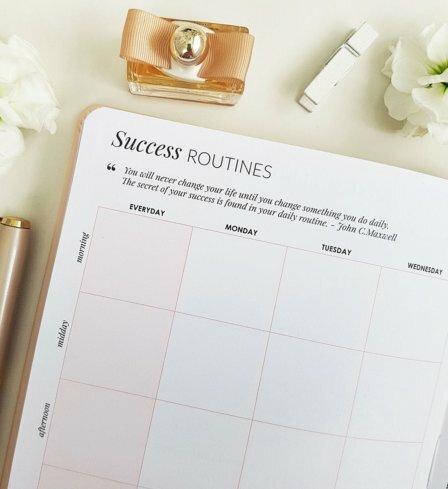 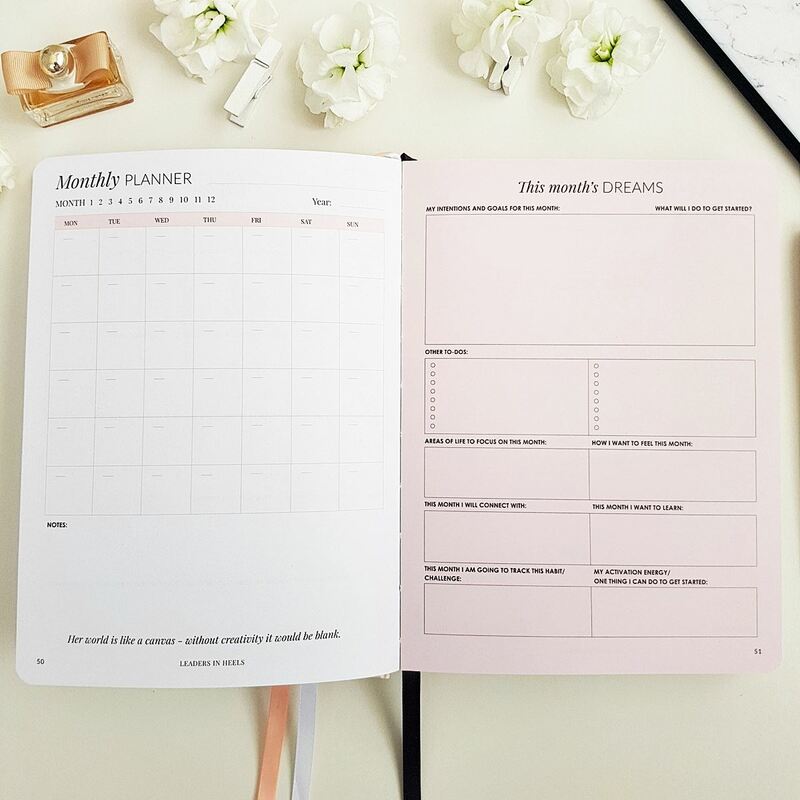 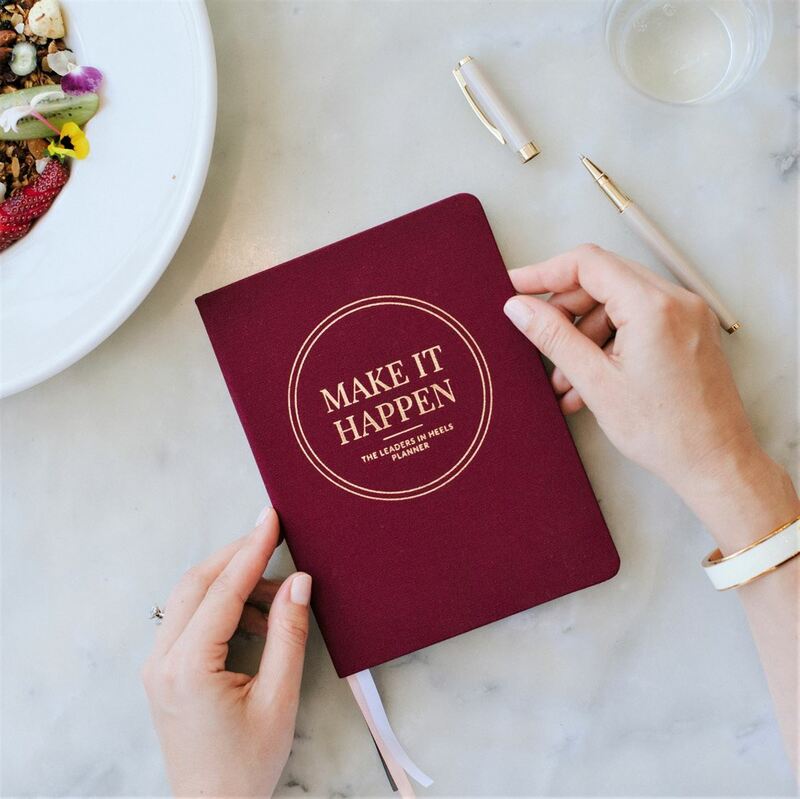 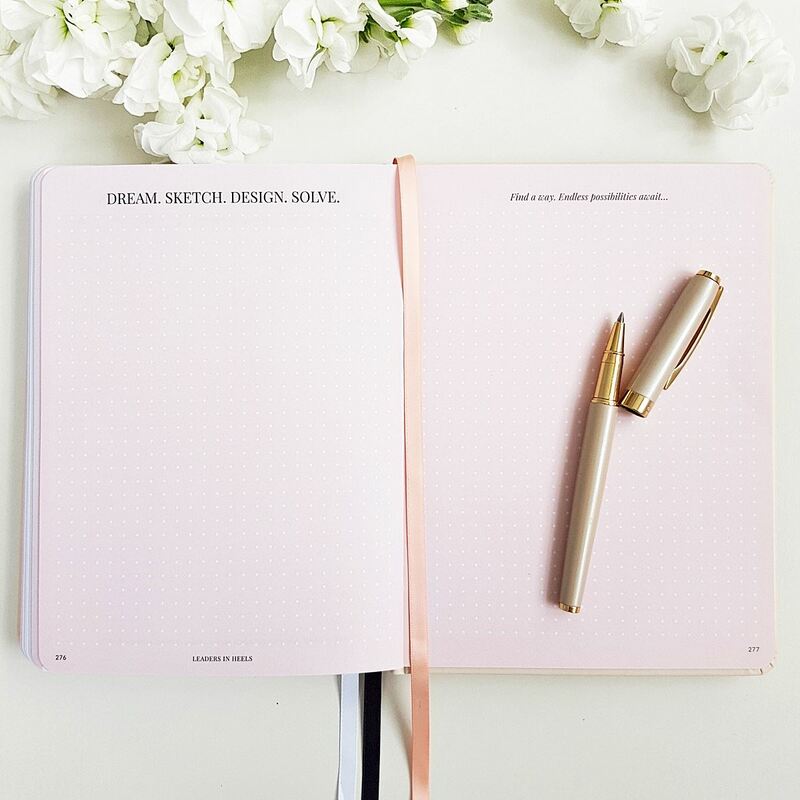 This planner is like nothing I’ve ever used before… it covers so many key areas along with additional tools to really get you thinking and breaking down what you wish to succeed in. 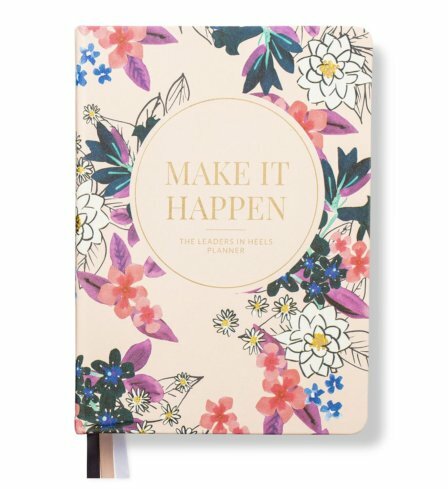 It’s an all in one planner so there’s no need to multiple books which I love and the sketch pages are my favorite. 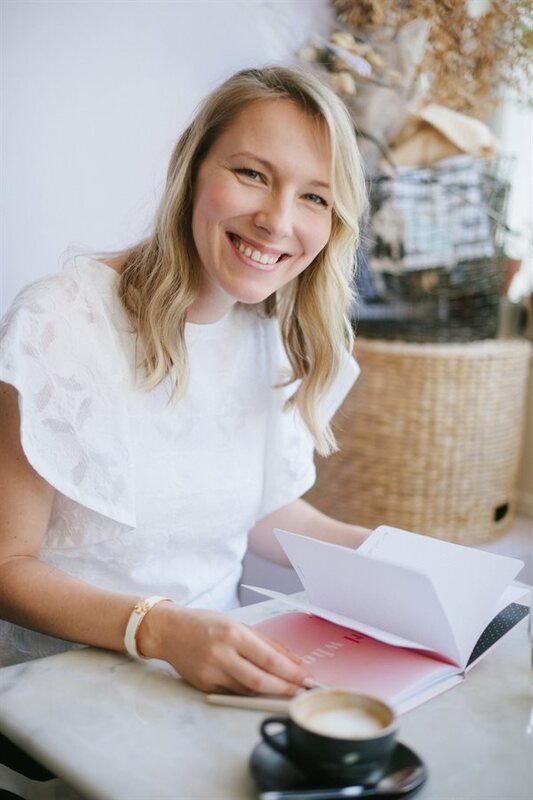 Thank you for creating something so beautiful and inspiring. 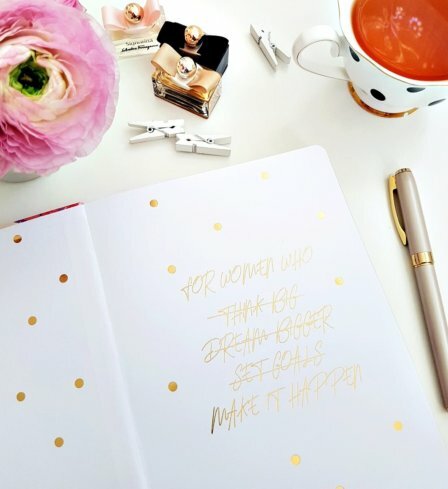 Love love love!! 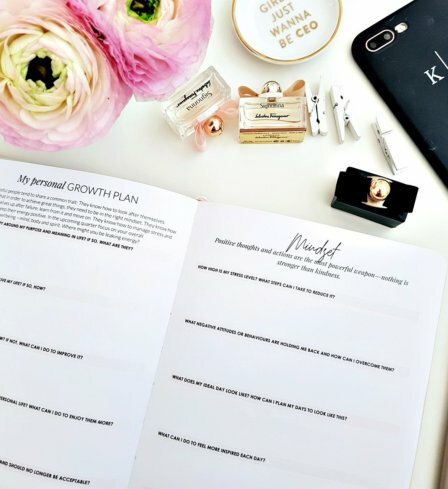 The packaging, the quality and the content are all amazing aspects of this product.Keep doing what you’re doing, you have amazing products that are extremely beneficial to busy women! 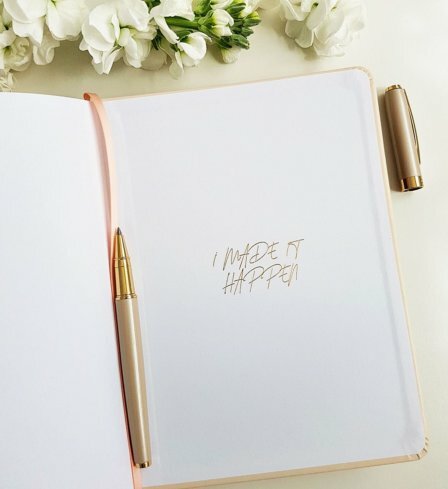 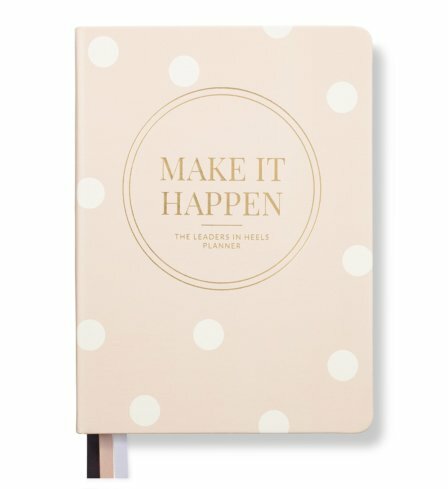 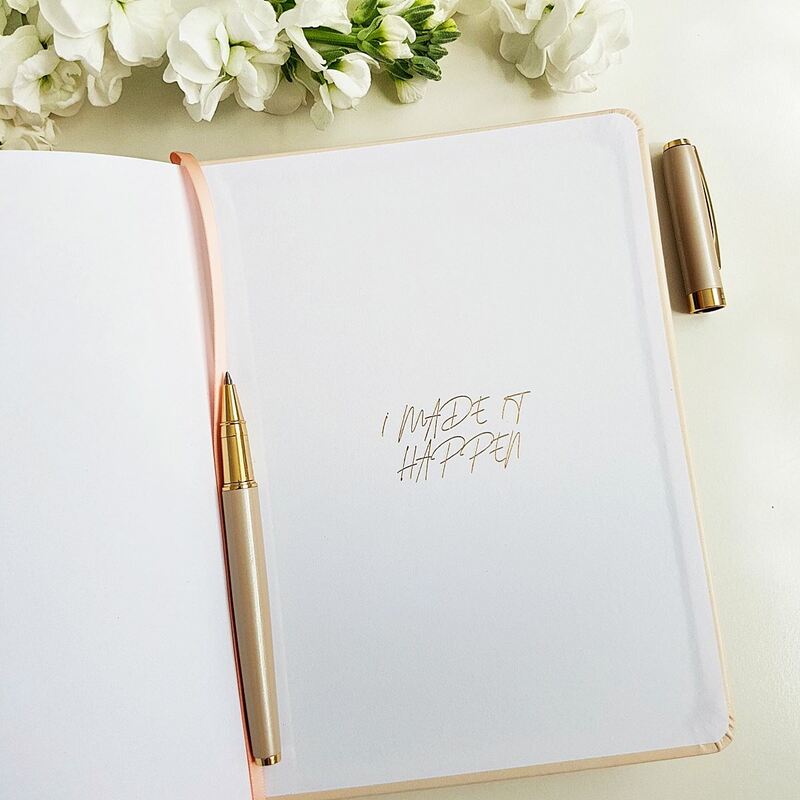 I could not be happier with my Make It Happen planner! 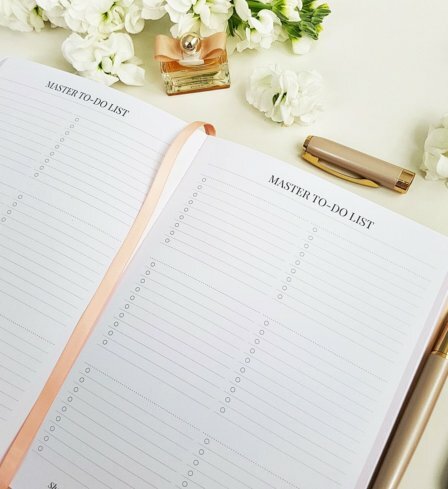 It has already helped me to sort out my chaotic life and manage my time so much more efficiently. 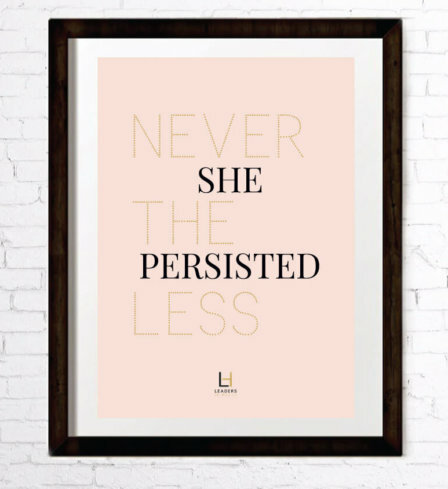 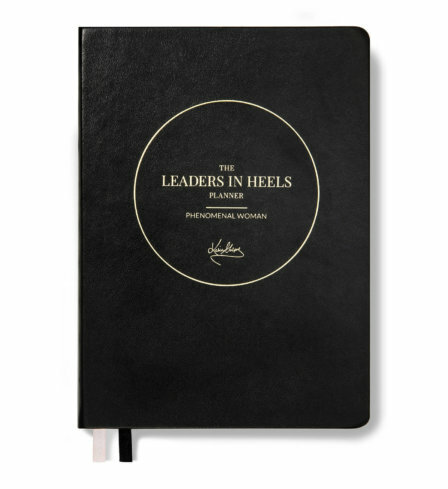 I could not recommend the Leaders in Heels products more!! 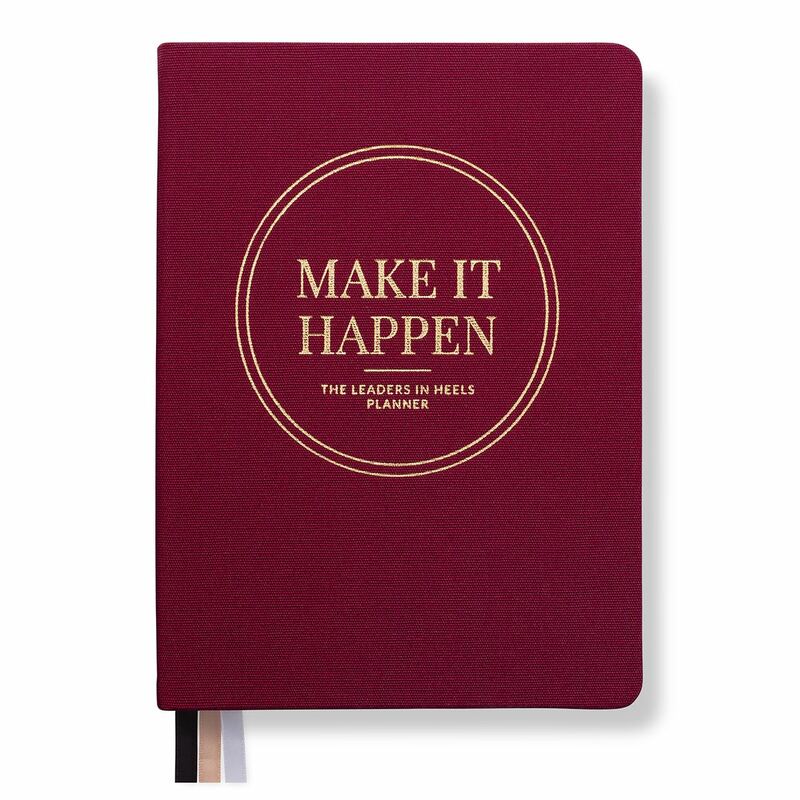 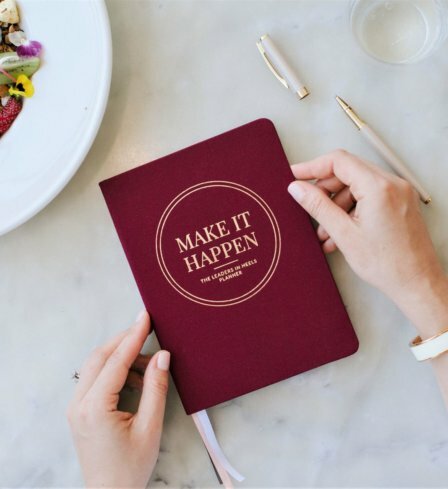 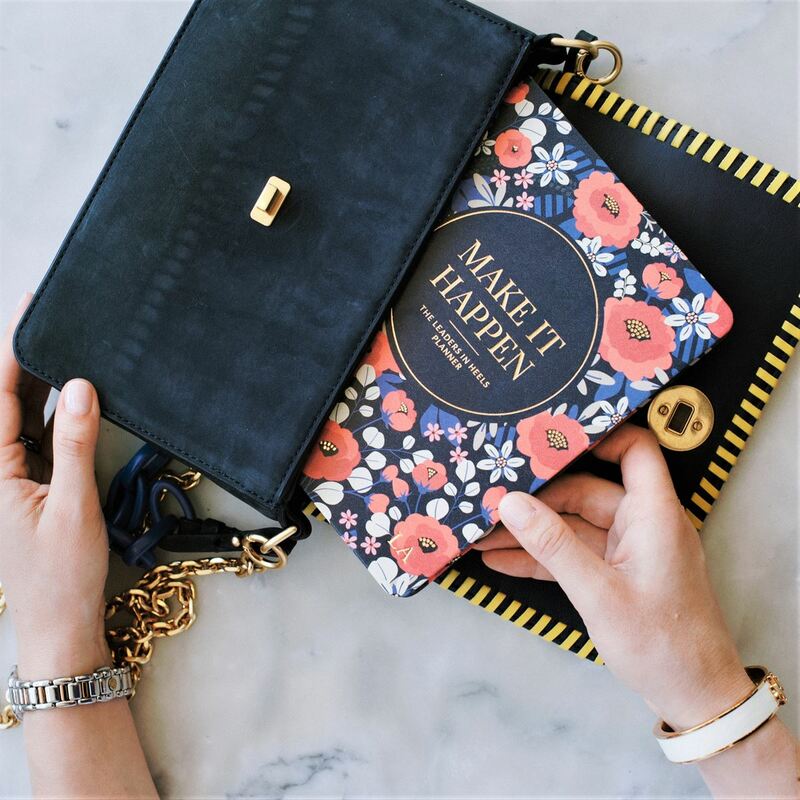 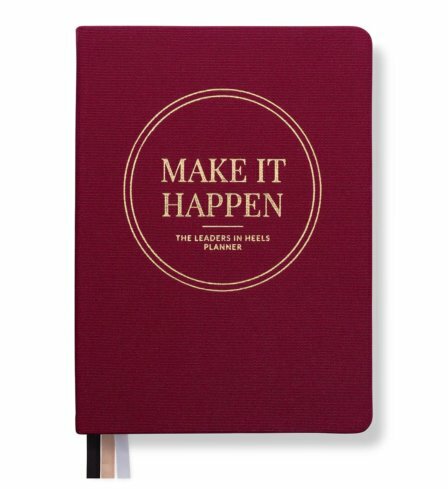 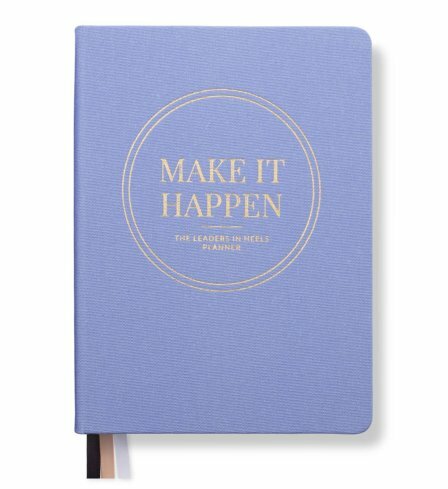 I love my Make it Happen planner. 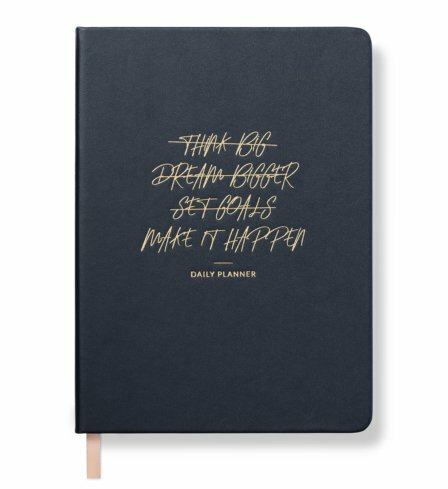 I didn’t like using planners in the past because they were too perfectionist and I’d find that I’d feel disappointed in myself afterwards because I couldn’t achieve everything. 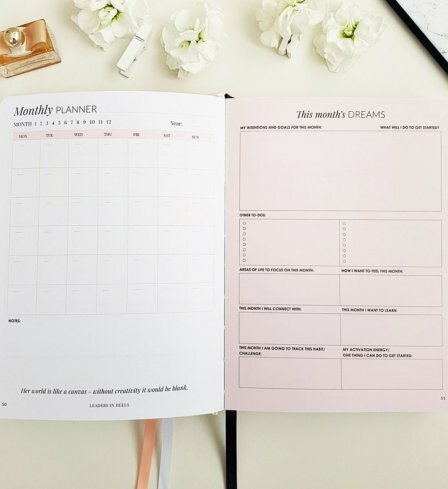 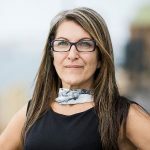 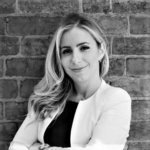 Your planners are realistic and has a mentoring experience to them. 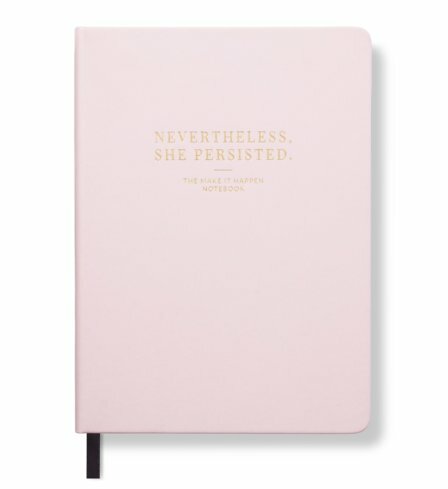 They are not rigid and structured. 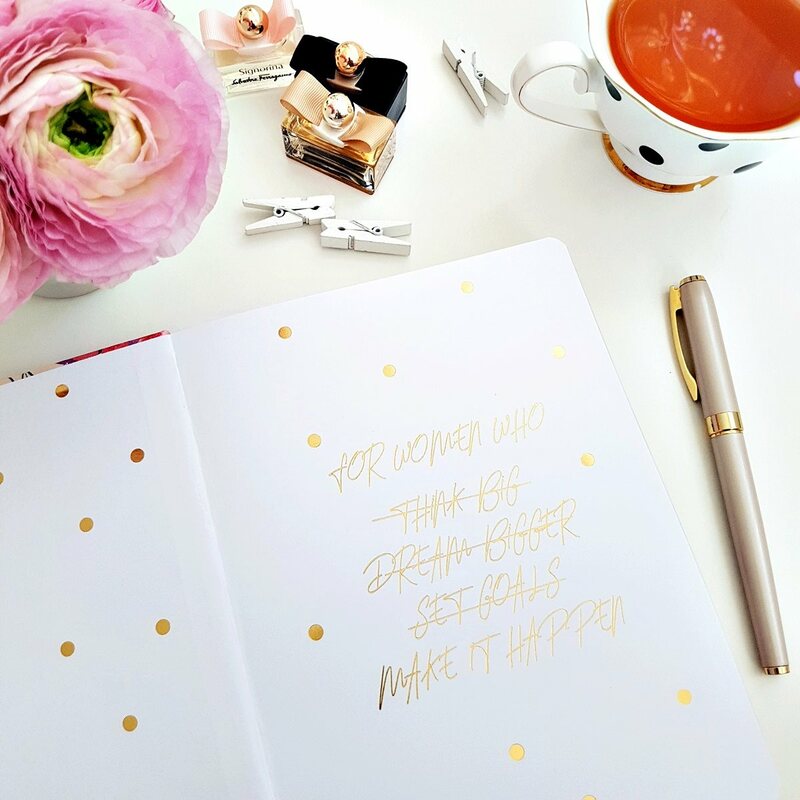 Instead they are fun, exciting and doable. 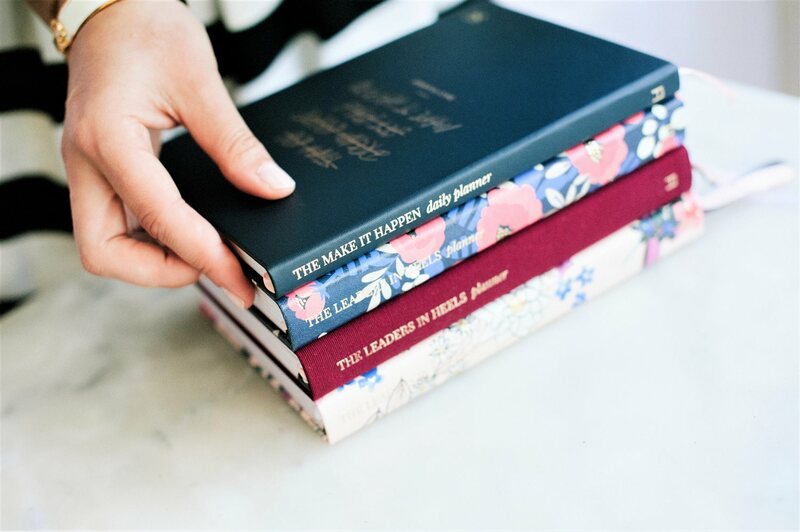 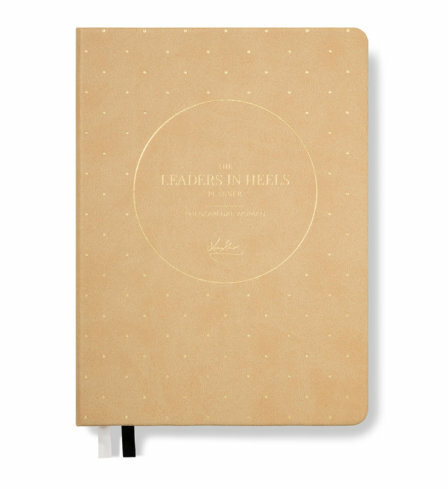 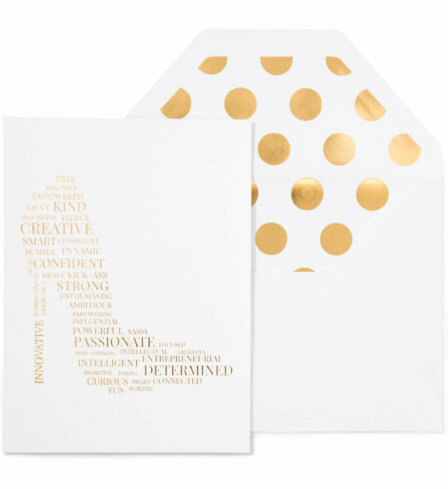 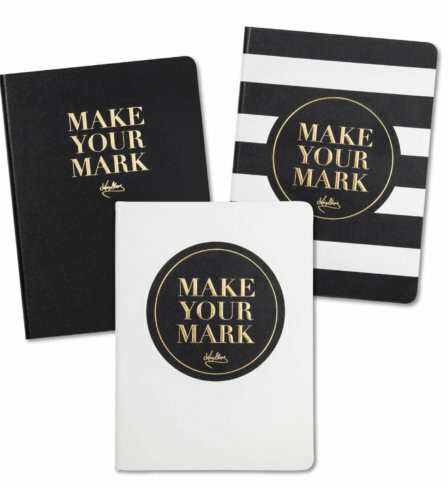 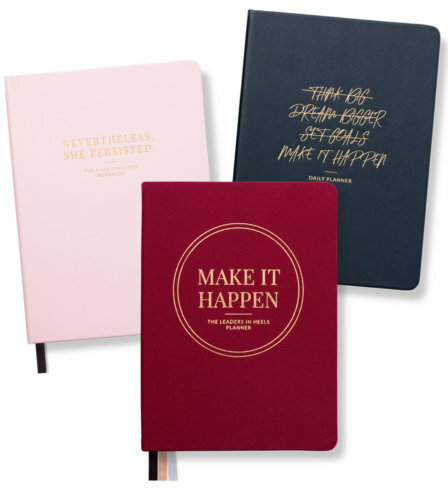 I have also purchased 2x of the Make your Mark notebooks for 2 of my amazing friends. 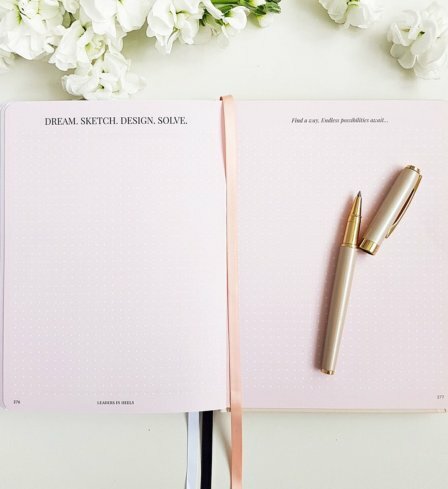 I just wish you had more stationary options. 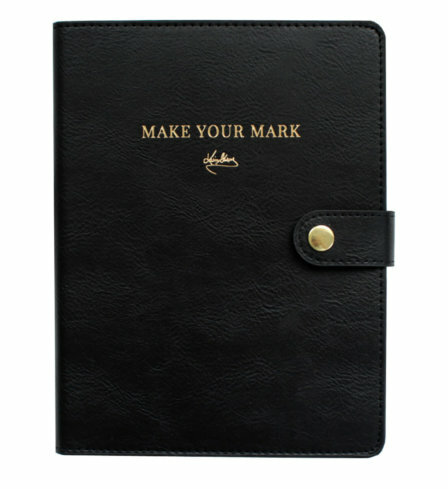 I love your brand. 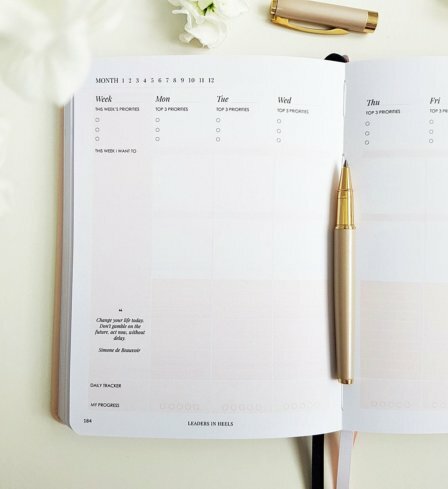 Love the products, the process to purchase was smooth and easy. 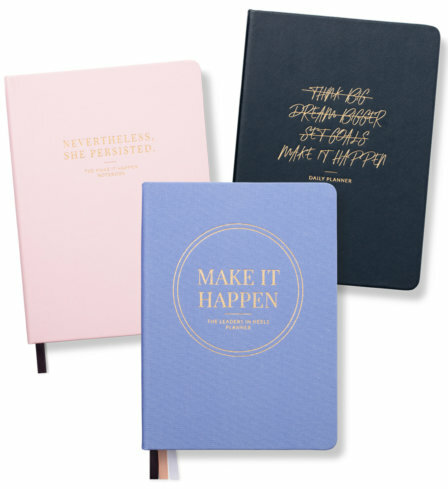 I love To do lists so I really appreciate the daily top 3 to do portion of the planner.